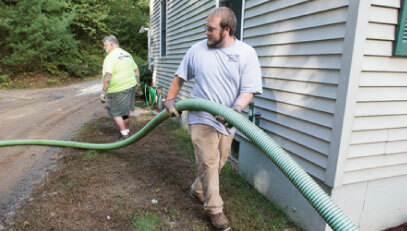 Alm & Son Septic Service is a family-owned and operated septic business. Contact our septic contractor for top quality services for all your residential or commercial needs. From septic system repairs to septic system pumping, we do it all to keep your system up and running! ...HERE'S WHAT WE DO AND WHERE WE DO IT! SERVICES: Free Estimates, Automatic Reminders, Septic Tank & Line Location, Septic Tank Pumping, Tight Tank Pumping, Title V Inspections, Riser Installation, Filter Maintenance & Cleaning, Main Septic Line Clearing & Cleaning. MASSACHUSETTS TOWNS SERVED: Barre, Brimfield, Brookfield, East Brookfield, Hardwick, Monson, New Braintree, Oakham, Palmer, Spencer, Ware, Warren and West Brookfield. 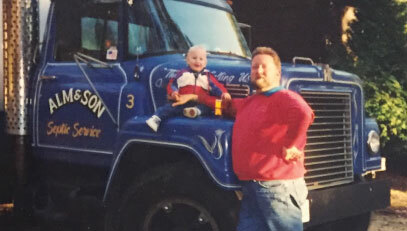 Family owned and operated since 1995. Call us for a FREE QUOTE today! Barre, Brimfield, Brookfield, East Brookfield, Hardwick, Monson, New Braintree, , akham, Palmer, Spencer, Ware, Warren, West Brookfield.